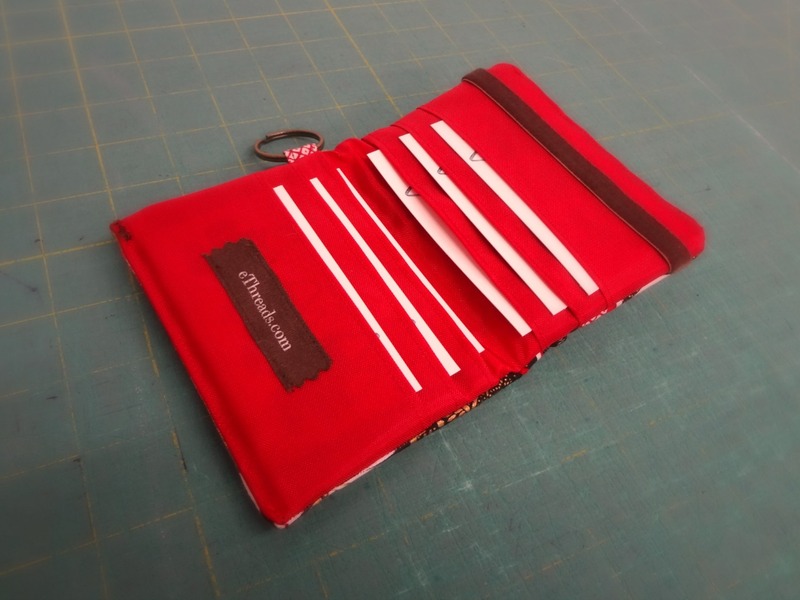 You guys have been asking if we have wallets … YES! … sort of … Here’s the deal: I designed an awesome wallet almost 2 years ago, and somehow it never made it to the site. We’ll introduce it next year, but for now I wanted to at least share a picture of the design. 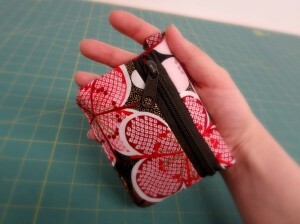 It has 4 pockets for cards (holds over 40 cards), 2 pockets for cash, and 1 zip pocket for change. It’s held closed with an elastic band (so you can cram it with a lot of stuff and it will still close) and keyring attachment. I’ve been using mine for 2 years and love it, it fits in the palm of my hand and clips to the inside of my bag so I never lose it. Here’s some samples, it costs $62 and we can make it out of any cotton and most canvas fabrics. Lined in nylon for durability – I got caught in the pouring rain with my wallet and everything inside stayed bone dry. The Card Wallet Just Got an Update! You may have already noticed the Card Wallet in our Blog. 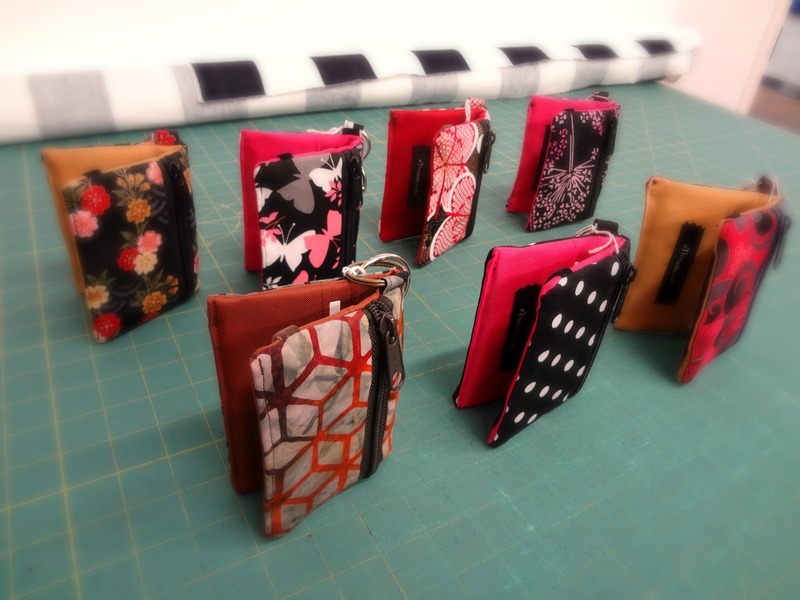 It’s a small bifold wallet that holds over 20 cards, cash and is secured with an elastic closure and key ring. We’ve taken the old design and made it better – not only is the lining a stronger, water repellent nylon, we’ve also added a change purse! We received many requests to add a change purse and thought it was a great idea! 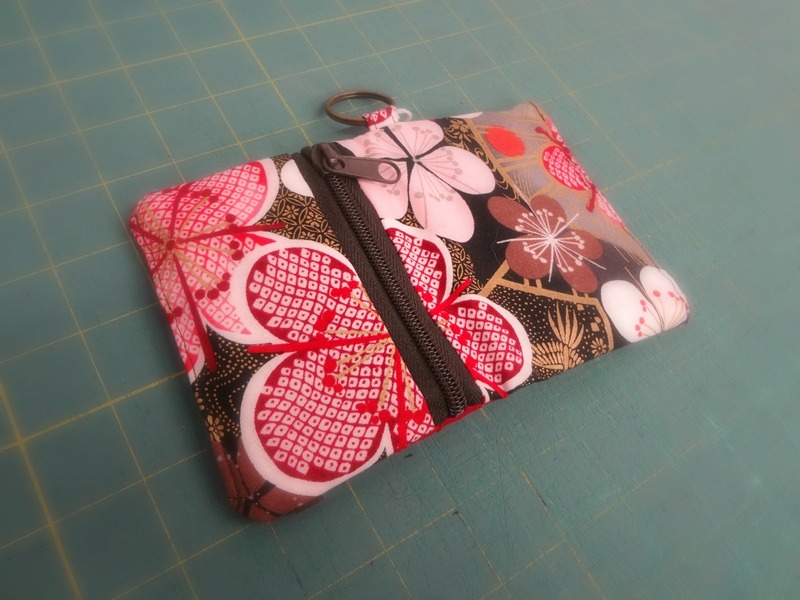 It was a struggle to figure out how to add a zippered pocket while keeping the small, sleek design that makes the Card Wallet so great. After many attempts, we finally found the perfect solution. I’ve been using a sample for the last 6 months and LOVE it! I can’t believe everything I need is neatly organized in the palm of my hand. Check out a few pictures of the new Card Wallet, it will debut on eThreads’ website Summer 2012. Can’t wait until then? We understand. You can design your own Card Wallet ($48) with any of the Cotton and Organic Cotton fabrics on our website! Just send an email to contact@elementalthreads.com for more info.